GuiYang YangMing Eye Hospital is a private hospital and well-known for its cataract surgery in Guizhou province, south west of China. The ophthalmologists screened patients in the remote mountain areas and then performed cataract surgeries for eligible elderly patients. The hospital has a dedicated cataract surgery team. 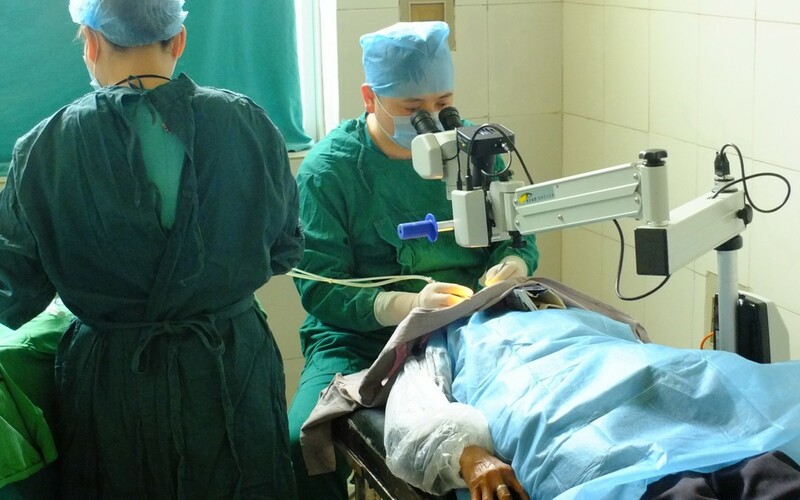 After comparing with other microscope brands, the hospital decided to purchase a Scan Optics SO-5000 microscope to assist them with cataract surgery. Shanghai Eyestrong, a distributor of Scan Optics microscopes in China, supplied this portable microscope and provided valuable on-site training. The microscope was easy to use and the feedback from the ophthalmologists was positive. They all commented on the excellent optical quality, portability, and ease of operation. We’re proud to have helped this amazing team achieve fantastic results for their patients!